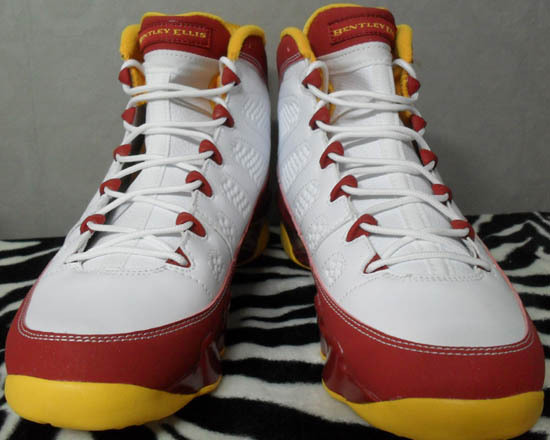 ajordanxi Your #1 Source For Sneaker Release Dates: Air Jordan 9 Retro "Bentley Ellis" White/Cayenne-Gold Available Early On eBay! 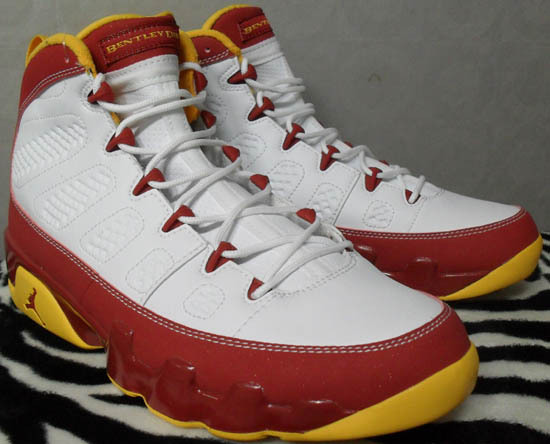 Air Jordan 9 Retro "Bentley Ellis" White/Cayenne-Gold Available Early On eBay! While the "Johnny Kilroy's" have released and the "Fontay Montana's" are coming this weekend, lets take a look at the third pair set to release, the "Bentley Ellis" edition. Click here to grab them on eBay. Officially set to release on Saturday, October 27th, this will be the third colorway of the "Alter Egos" Pack. 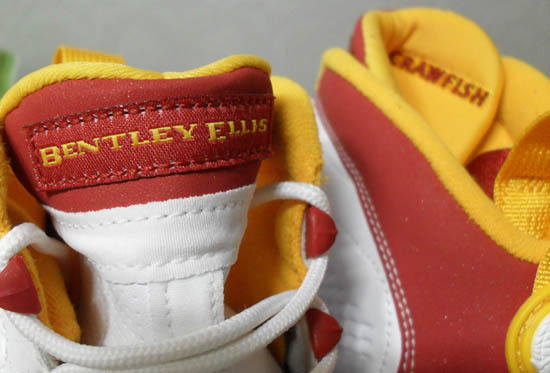 Known as the "Bentley Ellis" edition they feature a white-based leather upper white cayenne red found on the lace holders, tongue tag and midsole to name a few white gold accents on the sockliner and outsole. 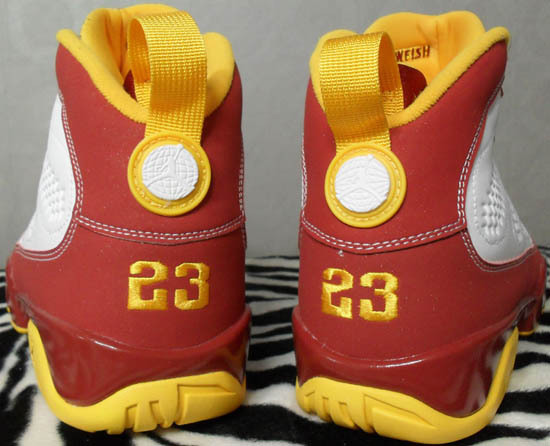 "Bentley Ellis" is found on the tongue tag replacing the usual "Air Jordan" found there and, "Crawfish" stitched on the back of the tongue. 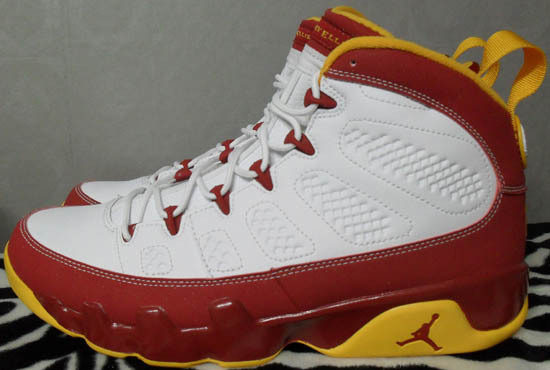 Like the "Fontay Montana" colorway and all future colorways in this pack, these will be a limited release. 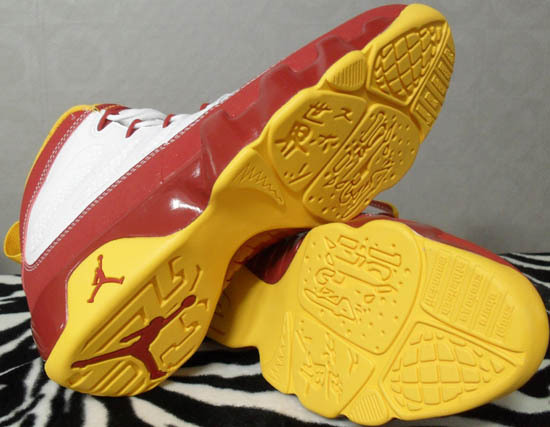 Look out for them at select accounts in late October with a retail price of $160. Check out the detailed images below. If you're looking forward to this release and want to have them now, click here to buy them on eBay.